Tonight I pulled the strings off and did my new guitar regimen on it. I ordered a couple sets of Thomastik-Infeld .011s - both in flat-wound (what was on there) and in Round Wound. It's an expensive experiment, but I've never liked flat-wounds and decided to see if I'd like the AA even more with round-wounds. I was kind of surprised that the guitar almost completely lost its magic. I strung it back up with flat-wounds and bam - The AA was back and better than ever. I realize you might be used to lighter strings, but with an acoustic archtop like the AA, it might take 12s (or even 13s) to really drive the top and get the best out of her. Thomastik Bebops in those gauges would still feel lighter than some other makers (because of having round cores). Might be worth a try! Wow! Is that an ebony bridge? How can I possibly have left this one out?!! String choices... the backbone of this forum! The Mother of all threads!!! 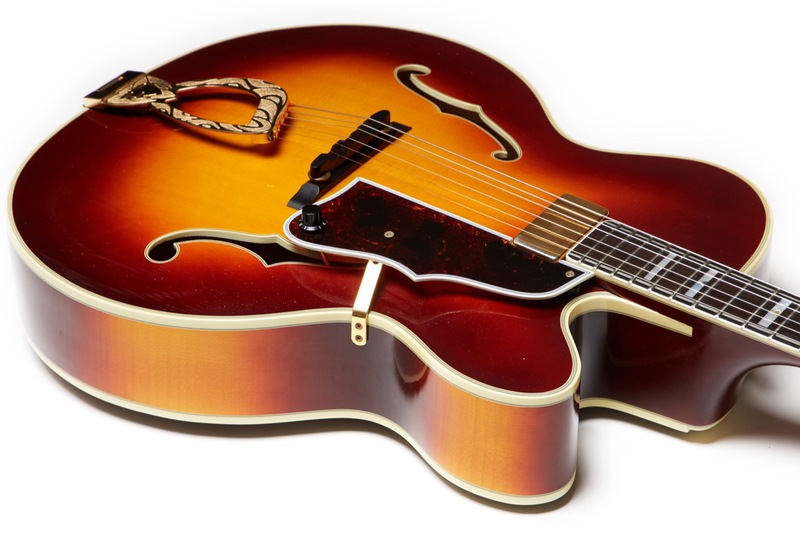 I've got a set of Thomastik Jazz/Swing 11s on my Kay Jazz II (25 5/8" scale length) but if it were a proper acoustic guitar I'd also give 12s a try.